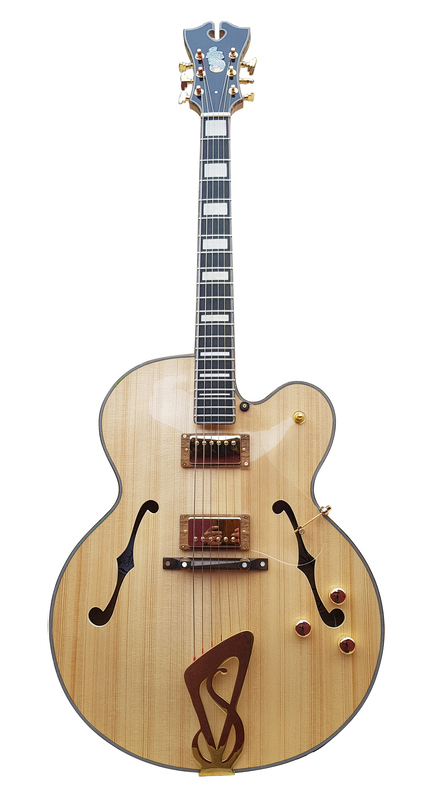 Between tradition and innovation Ella is a big jazz archtop guitar. A real jazzbox. A generous 17′ body, 3′ depth and a vertical bracing give it a huge acoustic voice and projection. The massive table is carved in our best French spruce. 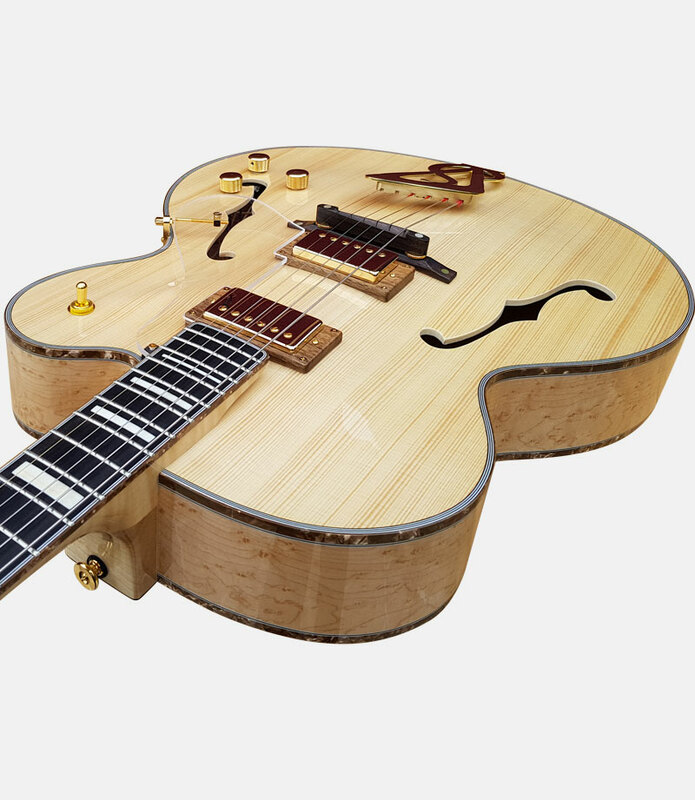 The back, the sides and the neck are made in sumptuous maples. Ella have a warm tone and a fast response. 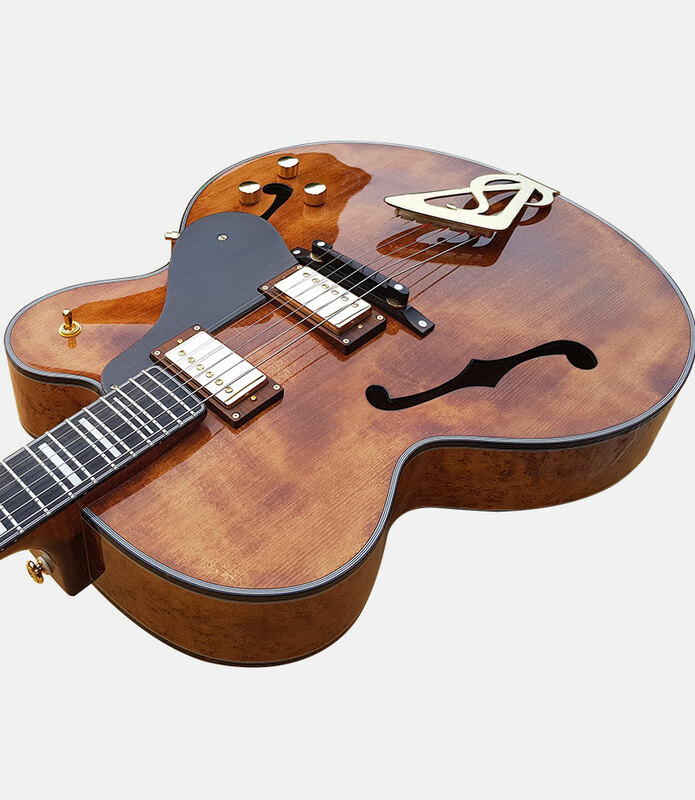 The two Benedetti humbuckers with their incomparable grain allow a dynamic and precise game. 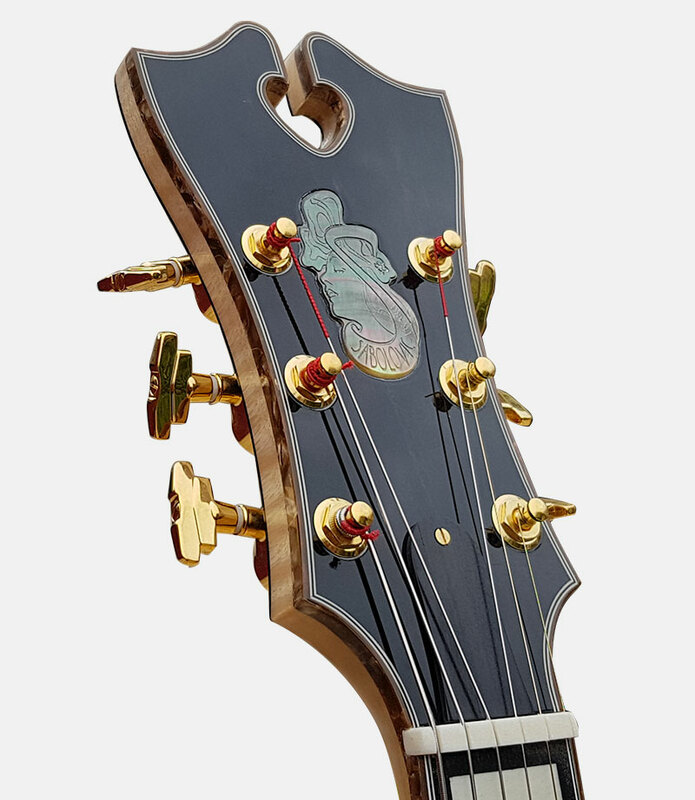 It is equipped with our original “sabolovic” tailpiece, pickups on the table with their carved wooden rings, an adjustable solid bridge. 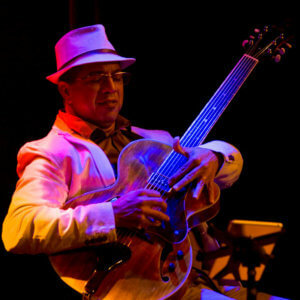 A multiple binding sublimates the entire instrument. Fingerboard: ebony or rosewood. 12″ radius. Scale: 635 mm (25’) with 21 frets. 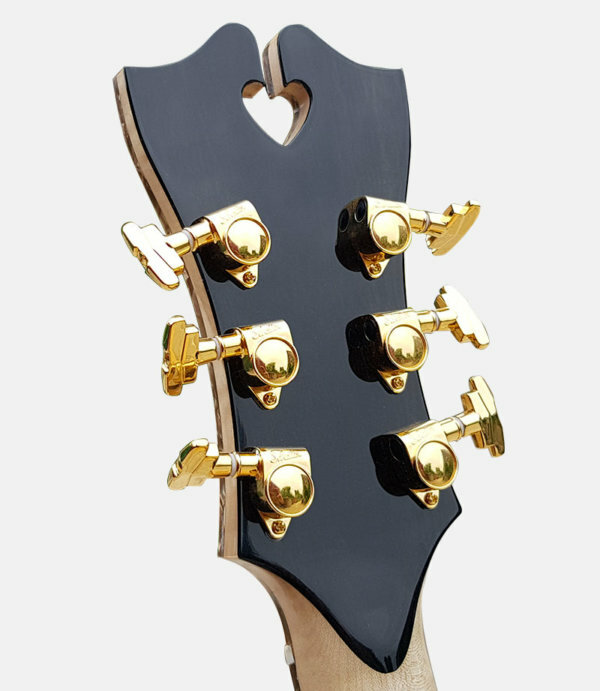 Headstock: double rosewood or ebony veneer. Nut : bone 44 mm. 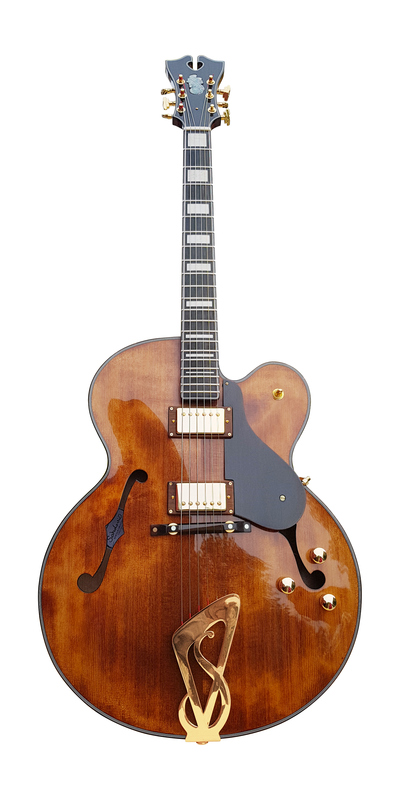 Pickguard: floating in rosewood, ebony or plexiglass. Bridge: massive and ajustable, in rosewood or ebony. Pickup: Humbucker Benedetti with Vol & 2 Tones. Finish: antique, honey, blond. Natural or sunburst in option.